I was so happy when I saw that Ms. Harper had put out another book in her South Shores series! This is a series that I have been following from the beginning because I love the characters. And there is quite the cast which is why I do recommend starting this series from the beginning. Now that I states that, I do need to let it be known that SHALLOW GRAVE can be read as a stand alone book but you will be missing a lot of history of the characters that is brought up occasionally. 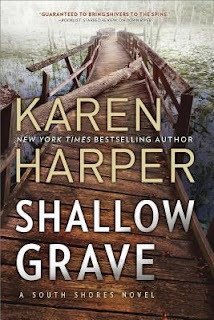 SHALLOW GRAVE does start off slow enough that I did start wondering if this series had perhaps lost its spark but I am happy to report it isn't so. The tension and pacing does pick up quite nicely by chapter three and by the next chapter, I was invested (reinvested) in the characters and the mystery to the point that I ended up staying up a bit late on a work night. Overall, I would say that I enjoyed the book and it was a very good object lesson to myself to give a book more time to develop. The ending satisfied my curiosity yet I still have more questions that will hopefully be answered in the next book. 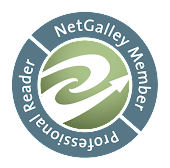 I do think that my readers who enjoy romantic suspense would like this book especially if they have been following the series.